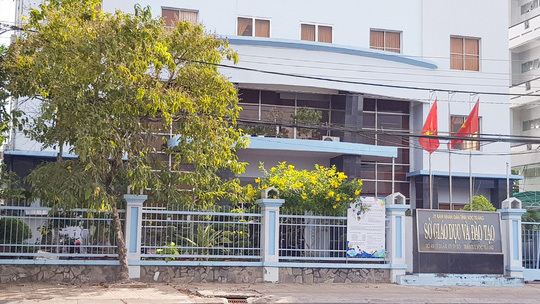 Two officials of the southern province of Soc Trang’s Education and Training Department and 30 headmasters of local schools were revealed to have gone on a private holiday using the state budget. According to the provincial Department of Education and Training, the case was reported to the Ministry of Education and Training and provincial authorities. The delegation included two department deputy directors and 30 headmasters of local high schools who visited Con Dao Island in the southern province of Ba Ria-Vung Tau on March 29-30, claiming the trip was for an educational conference. They signed a package contract with a tourist firm at VND2 million (USD86.9) a head. Nguyen Thi Tuyet Ha, director of the department, admitted that there was no such conference in Con Dao on the days the trip took place so the department would not finance their trip. "I’ll hold a meeting about the case. It was also my mistake not to check the details of the trip carefully enough,” she added.